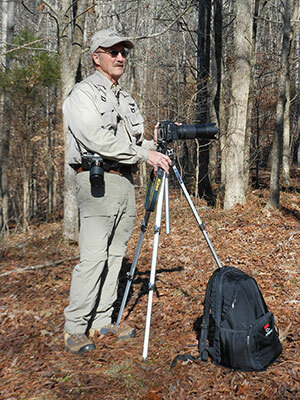 Gene J. Gonsoulin is an Alabama based nature photographer & writer. He grew up in South Louisiana, in Cajun country, home of crawfish ettouffee and Zydeco. Wandering the bayous, marshes and swamps, his boyhood days were framed by fishing, duck hunting and catching snakes and alligators. Gene’s intense interest in nature spurred a career in environmental science and, after graduating from Vanderbilt University with a Ph.D. in biology, he opened an environmental engineering company, working throughout the U.S. and many foreign countries. By his side during all those travels was his camera, now several fine digital and large format SLR’s.